Being a children’s theatre director, it is my job to get kids to feel comfortable doing the one thing they fear most…public speaking. That’s why I always start my class with “show and tell”. This exercise lets kids feel comfortable talking to each other and standing before their peers, sharing a simple story or homework project or whatever. I liken it to someday, when they are all grown up, they will feel confident to give presentations to their board rooms, all because they took a simple acting class when they we’re 8. Recently, one of my YAA actors stood before us and shared that a group of girls decided to “kick her out of their friendship circle.” She was frustrated but she wanted to share her story with her fellow actors. There, her new theatre friends, built her up and gave her confidence to overcome the playground’s silly games. We took a good fifteen minutes of class all sharing similar stories and what we all did to overcome the mean kids on the playground. Later in class we read some lines from her favorite film “The Hunger Games”. I had pulled a particular scene in which Katniss was facing her enemies and letting her fans know they could count on her and nothing would knock her down. I asked my student to give it a read, channel some of the energy from the playground. Literally, the entire class was blown away. She delivered the monologue with such conviction and attitude that we all knew she had an outlet for her anger. All this to state, whether its singing a song, learning a dance, or acting on the stage, using everyday life’s ups and downs is some of the best therapy for kids. Teaching them these confidence boasting activities is one of the reason I began teaching. Knowing how to speak to people, and give speeches in an invaluable tool. 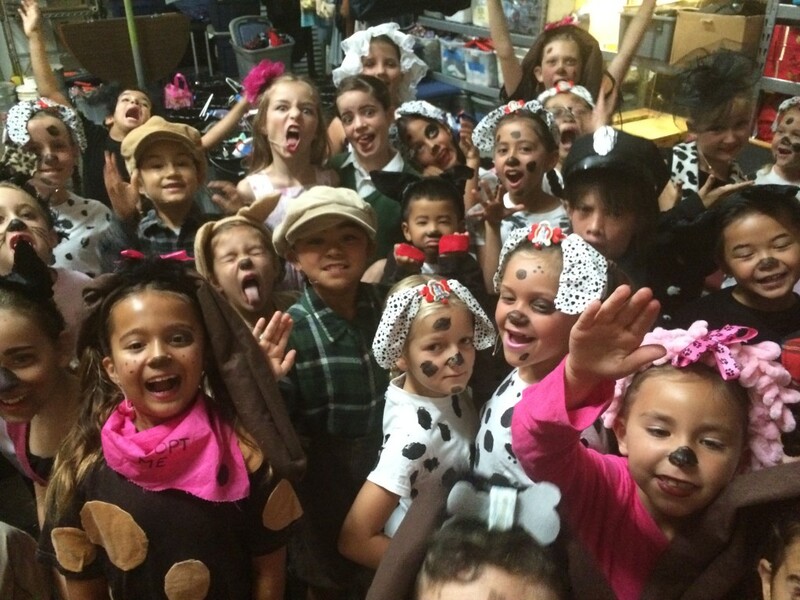 While your kids might not go on to be on Broadway or the silver screen, the tools they learn in a theatre class will last with them throughout their lifetime. Jolene Dodson Bogard is a staff writer for The Disney Channel and directs for a Children’s theatre in Orange County. YAA Acting Classes will resume on March 3rd. $50 per month or $15 per class. Learn more or sign up today.